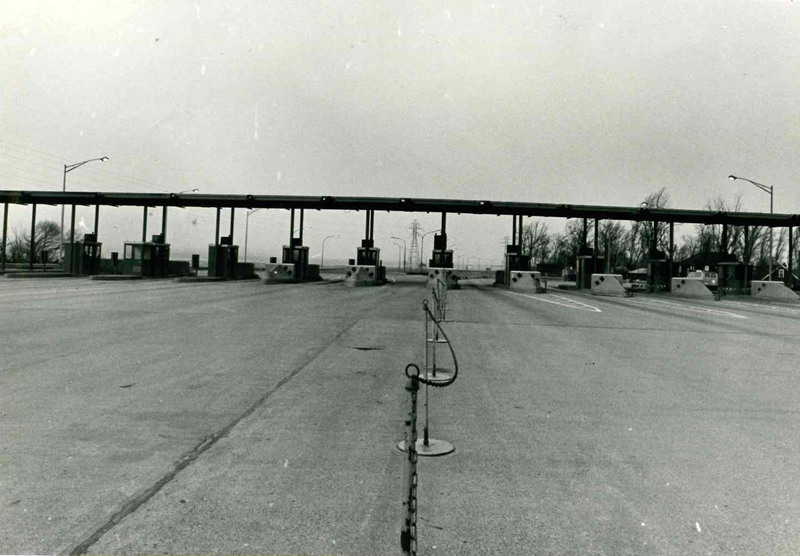 Toll booth the base of the Burlington Skyway in 1972, a year before they were removed. The Burlington Skyway opened on Oct. 30, 1958. To defray the $17-million cost of construction, drivers were charged 15 cents per trip, trucks with two axles or cars with trailers, 25 cents, and trucks with three or more axles, 45 cents. 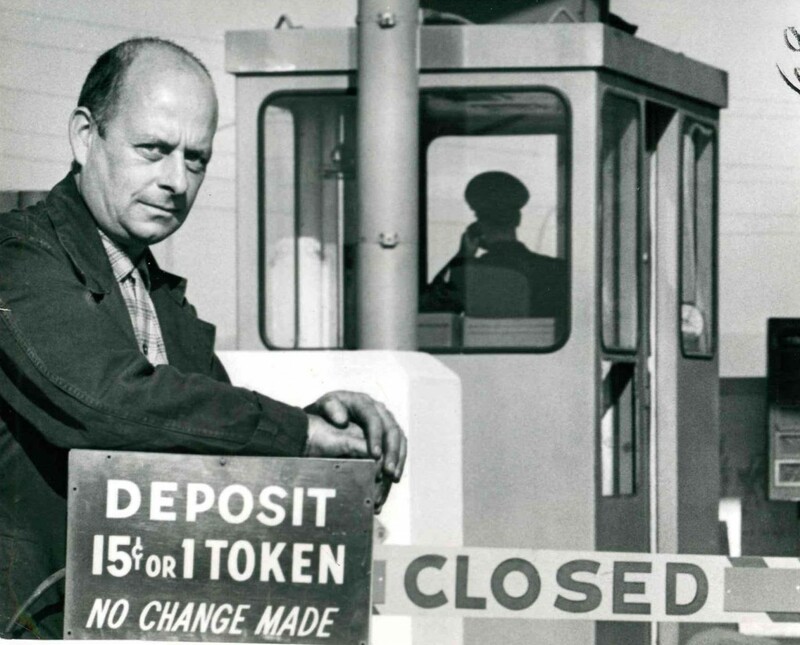 An automated system of dropping coins (or a token) into a metal collector bin was abandoned in 1964 because too many drivers were missing the bin. 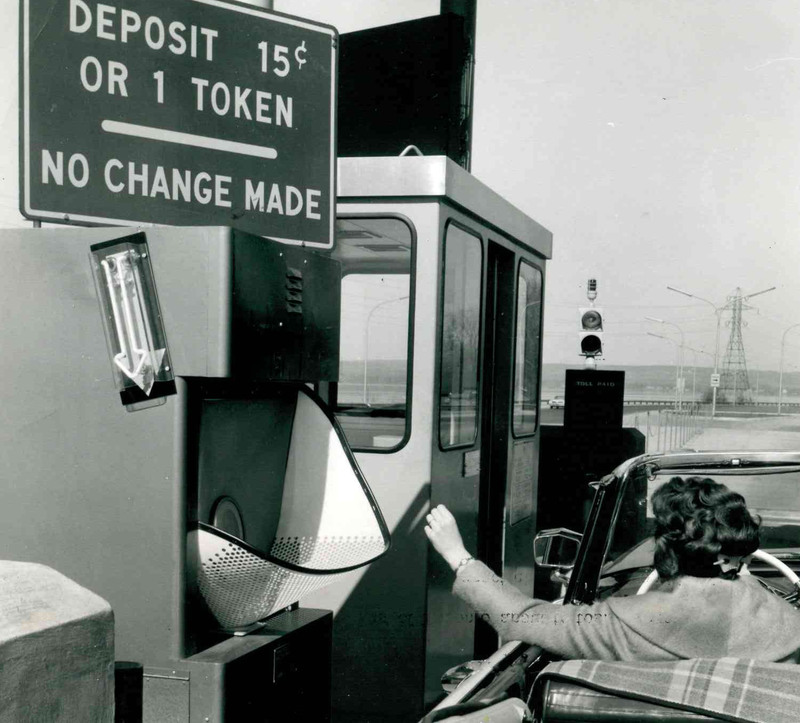 A toll was collected until 1973.  Archived in Flashback. Bookmark the permalink. One of our neighbours was a token collector for the Sky way Bridge. People use to complain to him all the time about the bridge was paid for and they should close the tolls. Some wise guys use to heat up the tokens with the car cigarette lighter and then toss it into the collectors hand. It was heck of a job.